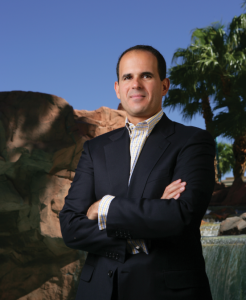 What Gordon Ramsay is to floundering restaurants, what Tabatha Coffey is to hair salons on the fritz — that’s what Marcus Lemonis aspires to be for any number of small businesses. Mr. Lemonis is the chairman and chief executive of Camping World, but also a jack-of-all-enterprises, spotting and stomping out inefficiencies in pursuit of profit. Profit that Mr. Lemonis shares, naturally. “The Profit” is an extension of reality television’s long-running charitable impulse, but like the cheery moguls on ABC’s “Shark Tank,” Mr. Lemonis has skin in the game. He writes checks and takes temporary control, makes significant changes, then hopes his new partners can make him money. I have enjoyed the handful of Gordon Ramsey episodes that I have seen over the years, so I will give this a shot. Could you be the next Marcus? Dear Mr. Lemonis: I have a handicapped son. We help him financially. It is very difficult. accept any percent you would offer. Thank you for your consideration.